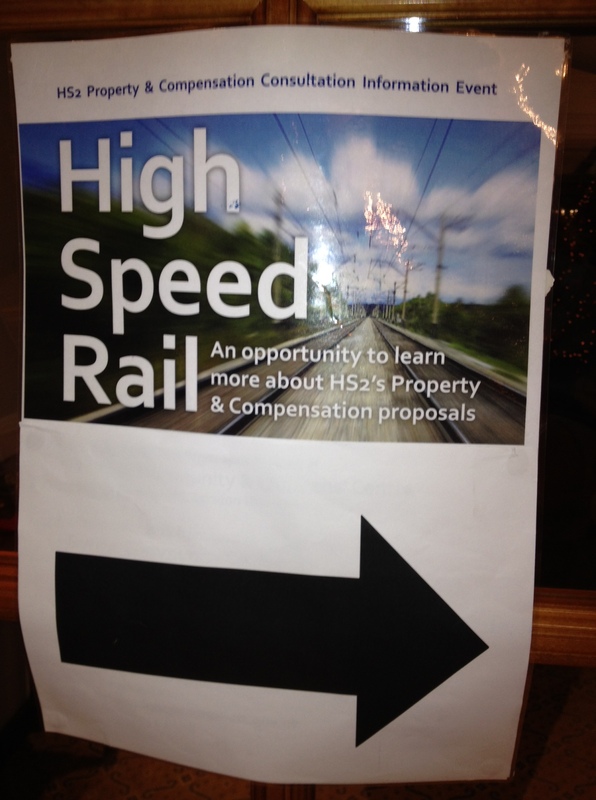 On the day the Judicial Reviews related to HS2 started, including legal action in relation to the flawed compensation consultation process, it is ironic that it was the same day HS2 Ltd bought their compensation consultation roadshow to town. As we couldn’t be at the court Ruislip and Hillingdon Against HS2 sent a little present of a banner that has been popping up everywhere!! Ruislip was honoured with a roadshow but Ickenham, Ealing borough, Harefield and Denham had none, so had to share ours. After requests and chasing from Denham, Harefield and Hillingdon action groups shuttle buses were put on from Harefield and Denham but only confirmed a few days ago meaning there was limited time to advertise them. We are not aware of any local advertising by HS2. The whole roadshow experience did not start well as HS2 seem to have only told a very limited number of people about the roadshow. A little birdie told us that HS2 Ltd. despite having umpteen staff failed to secure the venue booking that they made for the roadshow and lost the venue but by then had posted on their website etc. and printed and sent leaflets – they wrote to a limited number of people about the new venue, certainly not everyone. They promised to have people at the “wrong” venue today redirecting, reports are that this did not happen. 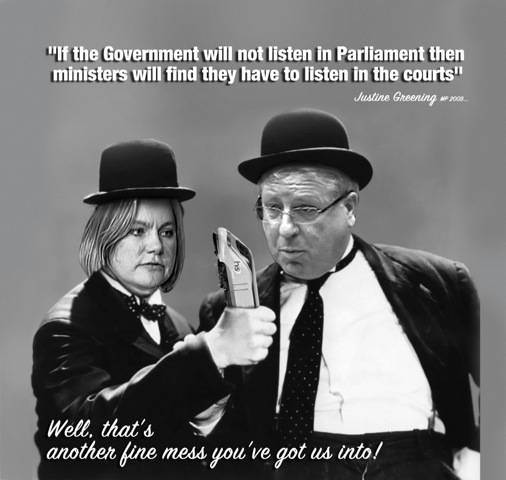 One couple who have a letter stating that their home will be demolished by HS2, told us that they did not receive a letter to notify them of the new venue – obviously not even worth a stamp! 500+ people attended their roadshow and our alternative one across the road. We had a joint event with Ickenham, Harefield, Ealing and Denham all included and represented. And everyone was fantastic! The BBC came along to film us – you can see us from 12min 29 sec. The film also shows how unimpressed the public were with HS2 Ltd. We doubt you could find a single person who was impressed. 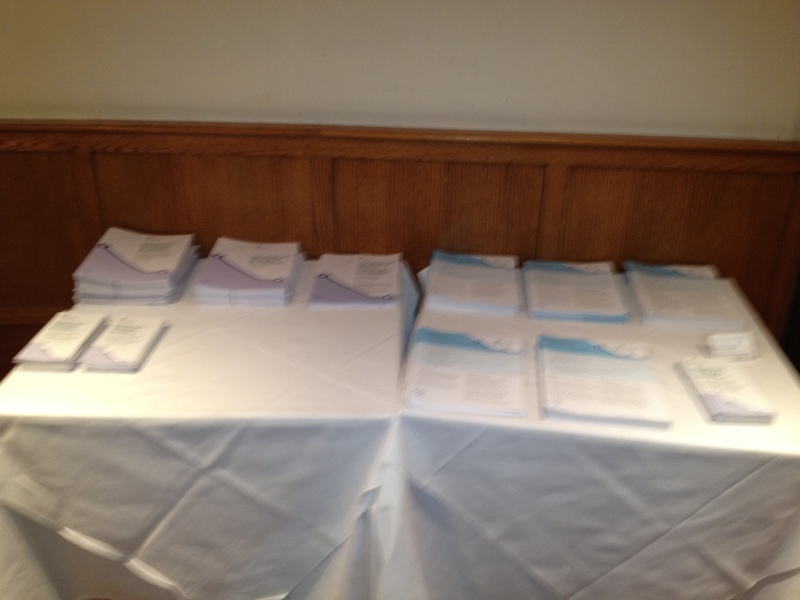 HS2 Ltd had 2 hotel rooms with piles of the consultation documents (not including the explanatory notes) and a set of very big maps pinned on a table. That was it – no displays, no extra info, nothing additional to read. Many people were asking them why our alternative roadshow was better and had more information than theirs!! And why they had found out about the roadshow from us and not HS2. The big maps were wrong, incorrectly numbering properties meaning that people were in some cases believing they were or weren’t safeguarded incorrectly. 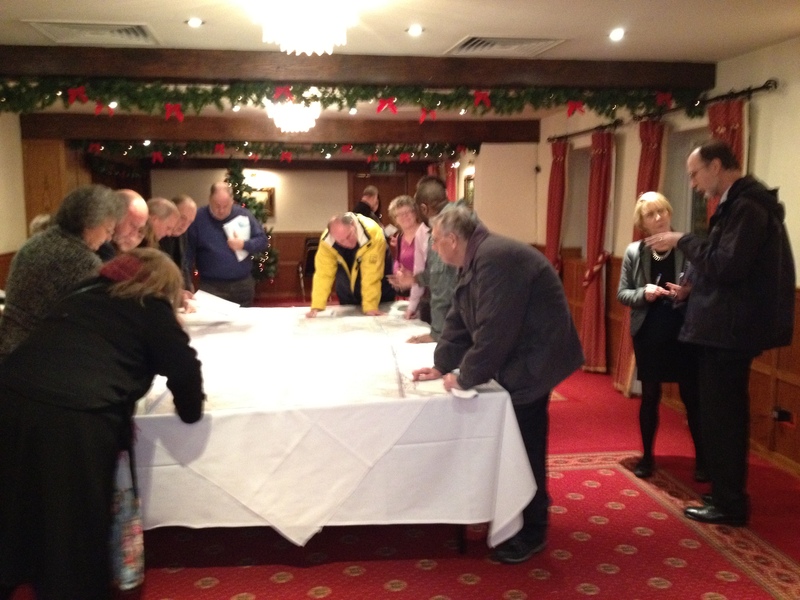 People were guided to and using the big maps – right until the end of the roadshow. Smaller correct maps were available but we didn’t see them not used much. When we highlighted the error to HS2 staff they said – they have learnt from this for future roadshows and also that it was the printers fault! The maps had also been printed incorrectly – using the wrong colours on one half for sub surface (tunnel) vs on the surface.So each half of their display had a different “key”. So the only specific thing used/made/printed for our roadshow was the big maps and these were confusing. They had no engineers present to help interpret the maps. Stating the consultation was about compensation not the route.We asked about details of where the safeguarding zone is measured from – centre of the line etc and they couldn’t answer, lots of waffle and guesses but no answer. This is important because who is in or out of the safeguarding zone will vary in line with the route, but they have excluded people now from the consultation by using such a narrow 30m corridor in our area. People currently inside may end up outside and vice versa as the route is refined but at this key stage are not considered as safeguarded. They moved part of the route in Ickenham by 60m recently so this is a real issue. Their words were “our best estimate” and they admitted the line is not set yet. It took 3 staff to answer a simple question about independent valuation of properties. Their posters said find out “more” but when we asked what more can you tell us today that is not in the docs, they had nothing to add. Not very informative, not very impressive and sadly – not very surprising!